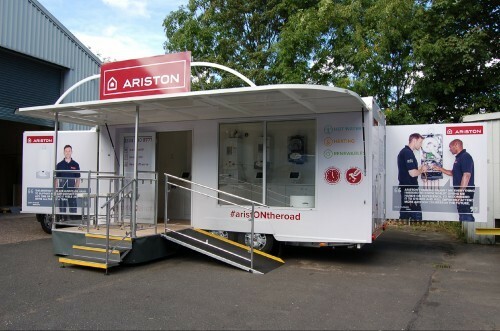 With over 30 years of experience in the manufacture of mobile exhibition units, Torton are leaders in our field. We are one of the few companies who can give a complete one-stop-shop service, not only do we offer a complete build and design service but we also offer a full operation and complete management service, taking the units from venue to venue, servicing, valeting, refurbishment and repair. 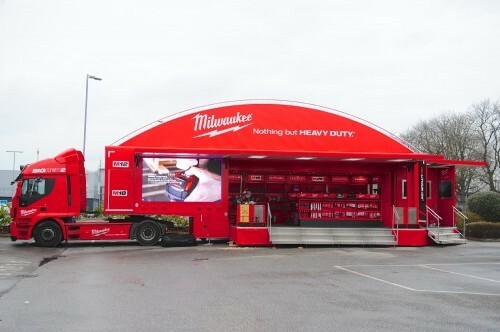 Our Exhibition Management services are tailored to meet the individual needs of your company and can be as simple as a deliver/collection service, through to a full storage delivery, set up, stand management, valeting and servicing contract. We can also advise and book showgrounds and display areas on your behalf, organising electricity, grass cutting etc. Maintaining and vetting itineraries of units prior to each event. Torton run a fleet of Landrovers, 3.5 tonne support vehicles and articulated trucks, together with a team of experienced drivers / transport managers. In addition to our team we also have a countrywide network of agencies, who provide additional support when required. The office management team comprises of four dedicated staff members, who are all available to liaise with the client. 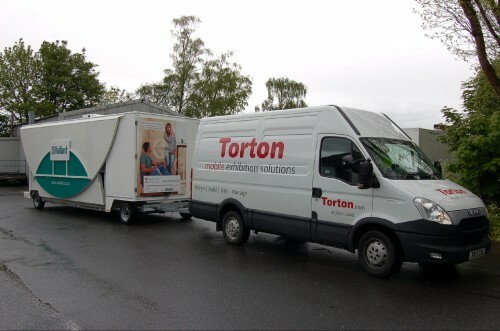 Torton Bodies have their own workshop for carrying our continual maintenance and service for pre-season work and emergency repairs on all trailers. Maintenance programmes are carried out through the year, and periodic services are on going. In addition to the workshop there is an external area of 4,200 square metres, which is where the main bulk of our existing customer units are kept along side our own hire fleet. The storage facility is secured within a fully fenced perimeter, together with a fully monitored alarm system. Our storage depot is located at Hortonwood 33, Telford. We can provide inside storage for additional items such as clients literature etc.